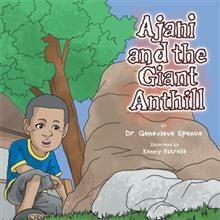 With colorful pictures, a creative and exciting plot and easy-to-understand texts, this wonderful read will inspire children to discover their surroundings and learn from the experience just like the young Ajani. Genevieve Spence is a retired high school English teacher. She has a Ph.D. in Education Administration and is TEFL certified. She has two children and four grandchildren. Seeing the need for more reading in families and among young children, Spence decided to use her knowledge and expertise to pen books for youngsters. Her inspiration for this book is her youngest grandson Ajani, who challenges her to read to him daily and assist him in gaining better reading skills. His energy and curiosity is the catalyst for this work, hence, this is dedicated to him.